Is your property going to be sold in the near future? 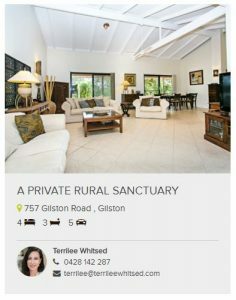 Do you want an accurate value of your home in Gilston? We deliver free property appraisals on land and houses in Gilston. We base our estimation on location to schools, shops and amenities. Also, we include the recent property sales history in the region. We have sold multiple properties in the region and know the area well. Our appraisers are available to value your home. Have you recently purchased an investment property and need a rental manager? Or, are you moving on and want to lease your home? Our property managers work closely with all our landlords. We will provide a free rental appraisal on what kind of weekly rent you can expect per week. Each week a house is vacant will cost you 2% of your annual rent revenue. It is our position to maximise your return on investment. All our tenants are security checked and are made clear as to their commitment when renting a home. We have the latest software at our fingertips and can efficiently manage an entire property.